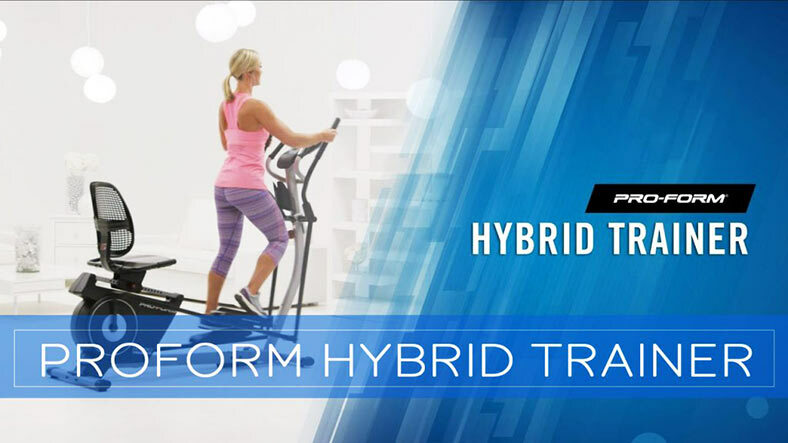 Are you a hybrid trainer looking to get a challenging alternative to the treadmill? 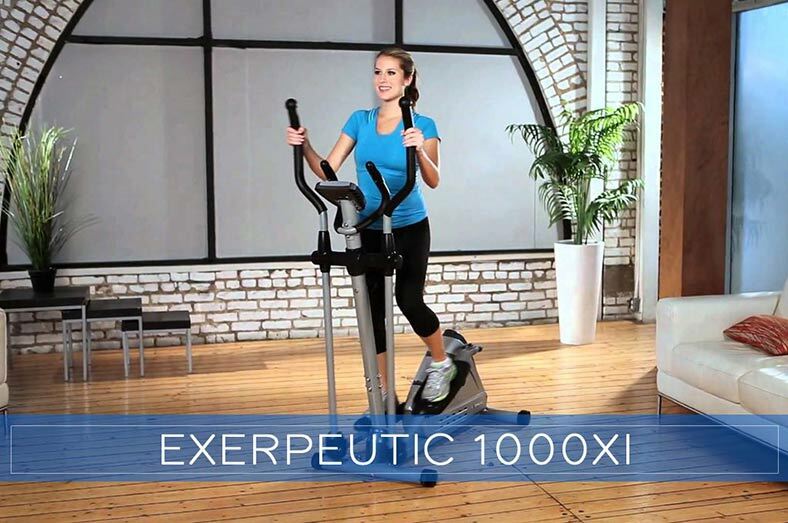 Well, look no further than the super-efficient Bowflex M5! 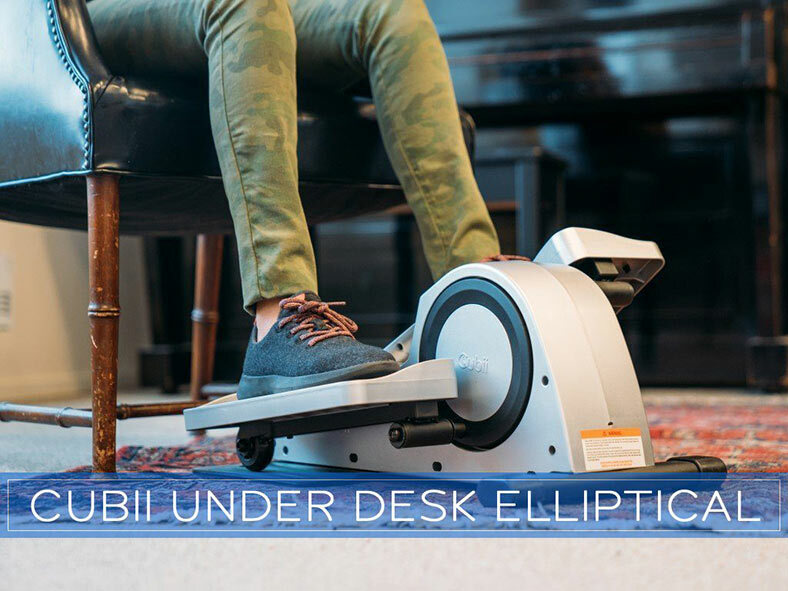 The M5 is one unique device which can be seen as a combination of a reverse elliptical, a stair stepper and a stationary bicycle. The motion of this machine is actually similar to running up a very steep hill thus giving you the opportunity to have the most effective full body workout in 14 minutes! Today we are going to reveal Bowflex Max Trainer M5 Review to find out why it’s the best overall fitness equipment investment you can make. In this review, we’re going to explore just about everything that has to do with the Bowflex M5 so you can get all the information you need before taking the plunge. Sounds good? Let’s get to it! The Bowflex M5 is a premium model in the Max Trainer line which happens to be an excellent alternative to elliptical machines and treadmills. The best part is that this machine is sure to be more effective than most top-rated machines on the market. 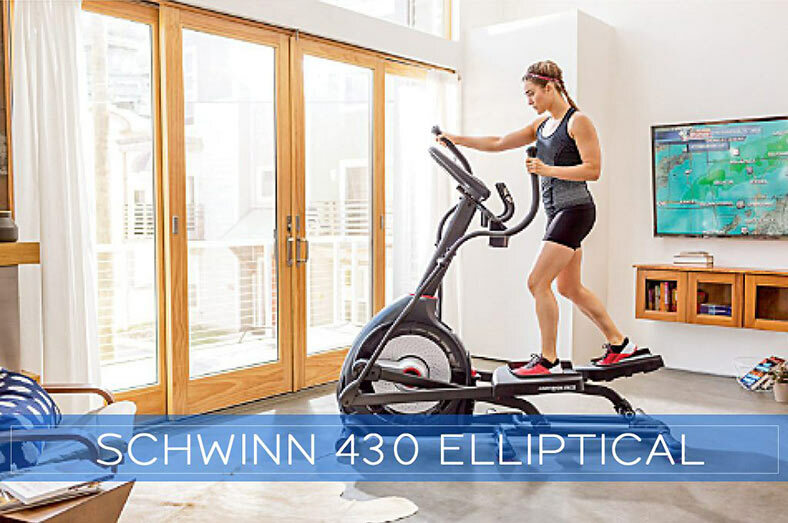 What you should know is, this device is inspired by elliptical machines and treadmills, in the sense that it allows full body workout with zero impact and still allows you to move at full speeds for best results. So what does this mean? 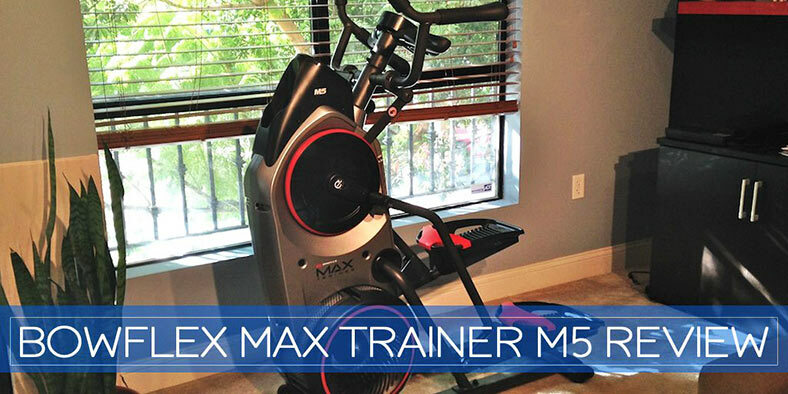 Well, it’s pretty simple — the Bowflex Max Trainer M5 combines cardiovascular health and anaerobic fitness into one machine. Now you’ll get to enjoy two amazing benefits at once! This is precisely why you’re more likely to burn more calories using M5 over one your typical gym machines. Winner of the Red Dot Design Award 2015 and German Design Award 2017. As I mentioned earlier, the M5 does not promise an easy workout, but it provides you with resistance levels as well as preset programs that are sure to work great for both professional and amateur trainers. It allows you to adjust resistance levels to fit your specific needs regardless of whether you’re a beginner or advanced fitness enthusiast. For the most part, your upper body gets toned thanks to the moving arm bars. While your lower body receives training with an excellent stair-stepping motion. 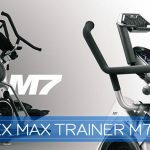 The bars on the Bowflex Max Trainer M5 looks a lot like those on standard elliptical machines, but they are actually twice as effective when it comes to toning your body. The good thing about Zero impact machines like Bowflex M5 is that they reduce the risk of injury. Want to know the best part? The fluid motion of the Bowflex M5 is very gentle on your joints, and it’s very unlikely for your feet to leave the machine while training. The zero impact factor it offers also gives you the opportunity to perform high impact workouts without worrying about painful aftereffects. One thing that sets the M5 apart is that it has more features than the M3 and greater resistance levels but still maintains the same compact size. And the best part is that it comes with a reasonable price tag! The Bowflex M5 comes with some excellent features that make it an ideal choice for your training needs. The Bowflex M5 comes with an array of resistance levels you can use to create personalized workouts that work for you. In other words, you can adjust the M5 to provide you with an effortless or extremely difficult session — it all depends on the results you’re looking to achieve. So, this means that the machine is designed to work for both beginners and professionals alike. Here’s the thing — Low resistance is sure to work for weight loss, and high resistance will tone your muscles and sculpt your legs. Just be sure to stick to your fitness goal. Another good thing is that the Bowflex Max Trainer M5 comes with a back-lit display that allows you to access both manual and preset workouts. The machine has up to nine integrated fitness programs you can follow. You can choose from Calorie Goal, Calorie Burn, Max Interval, Smart Max Interval, Fat Burn, Stairs, Steady State and Fitness Test. The best modes that can maximize the amount of calories burned are Max Interval and Smart Max Interval. These are the modes that can burn up to 2.5x more calories! Tip: The Bowflex M5 can also save the physical stats and workout data of two trainers, and that’s huge! Now, you and girlfriend can work towards your fitness goals and have fun while you’re at it. You can even share your results and stay motivated to get the perfect body you desire. The Bowflex M5 is constructed with high-quality materials to make it as lightweight as possible, which is also true for the Max M3 and the Max M7. You can also read our in-depth comparisons of Bowflex Max Trainer series. The entire unit weighs just 143 pounds, yet it’s very sturdy to handle your movements — it won’t budge or shift when using it and that’s huge. Its compact design is also a big plus. The M5 doesn’t take up much space compared to treadmills — it’s footprint is just 46″ L x 25″, and it weighs only 143 pounds! Treadmills take up more than 20 square feet on your floor, which may be too much space to lose in a small home. And traditional elliptical machines take up a lot of space too. But Bowflex max comes in a space saver design, so it does not take up too much space. If you’re a true fitness enthusiast, you’ll agree when we say only a few highly rated cardio fitness machines provide you with good upper body workout. The good thing is, the Bowflex Max Trainer M5 is among the group of machines that develops your arm strength and improves your cardiovascular health in the process. The display of this trainer is something that you’re sure to love. It features a unique gauge readout which shows your intensity as well as the amounts of calories burned. Now you’ll get to stay motivated throughout your workout session. Furthermore, it syncs your exercise data to a unique mobile app with Bluetooth 4.0. The machine’s grip also features contact heart rate monitors so you can get a better idea of your heart rate. The best part is that the product comes with a wireless chest strap! Want to have fun while you workout? Well, the M5 gives you the chance to have fun to the fullest while working out. The rack on the machine is big enough to hold your tablet and play your favorite movie while you burn those calories. You can also use it to hold your phone to blast your best jams! Just stick to whatever tickles your fancy. Media shelf and water bottle holder are convenient. With the addition of a media shelf you can now rest a magazine, book or ipad in front of you while keeping track of your workout. Watch the video while you exercise so that you can make full use of your time. If you use the Max M5 correctly, it will not cause knee pain. 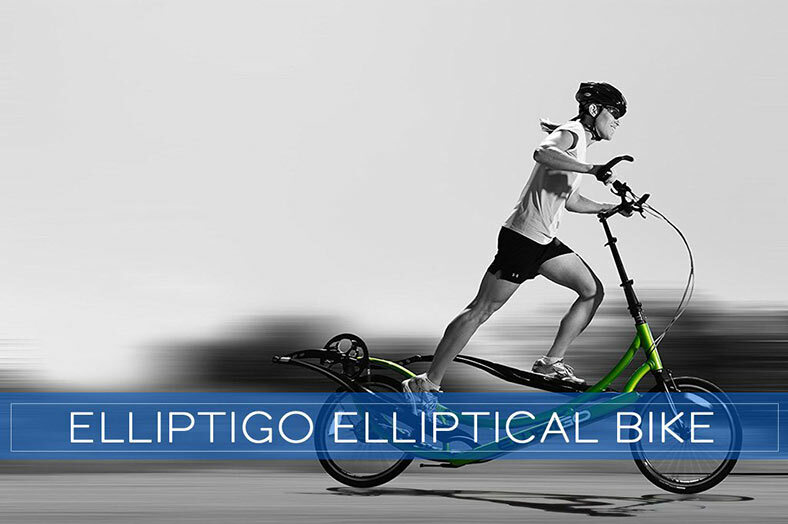 Elliptical training is considered a low-impact activity and is ideal for individuals with knee pain. It is a good alternative to jogging or running for someone who has joint pain due to arthritis. 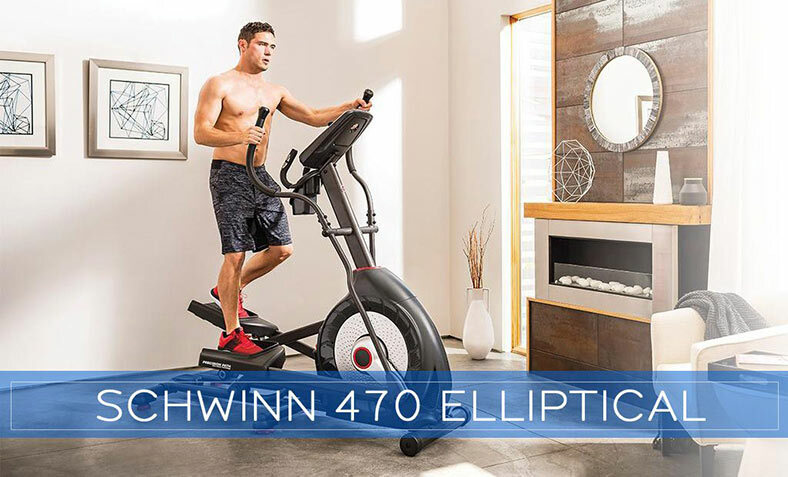 Elliptical training is one of the best ways to encourage blood flow, which moves nutrients and oxygen to the muscles in your back, thus decreasing stiffness and helping the damaged muscle tissues rebuild themselves. It is ideal for individuals with chronic lower back pain. Furthermore, elliptical training also encourages the production of endorphins, which can help reduce your dependency on pain medications and naturally fight pain sensations. With all that has been said, you can conclude that Bowflex is a powerhouse in the fitness industry and it’s pretty clear that their products are here to dominate. 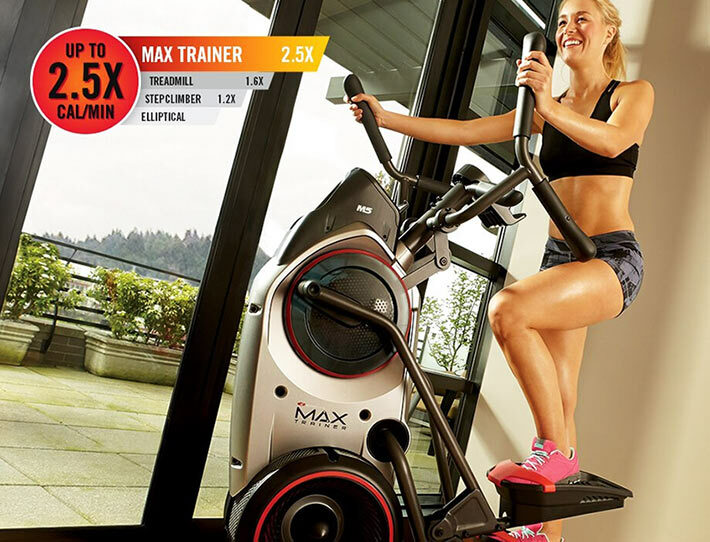 The Bowflex Max Trainer M5 is yet another exceptional product that comes with lots of features that are sure to help you achieve your fitness goals in no time (it only takes 30 minutes to see amazing results). Overall, we hope this review has given you all the necessary information you need to take the plunge confidently. Just be sure to give the M5 a shot — it’s sure to give you the best bang for your buck! Comes with up to 16 resistance levels. Compact design doesn't take up much space. Warranty could be longer — it only lasts for two years. Two months in and I am in love. My joints won’t permit jogging or running. I absolutely love my Bowlfex because it gives me a great workout without any lower back or joint pain! Hey Raquel, thanks for dropping by. 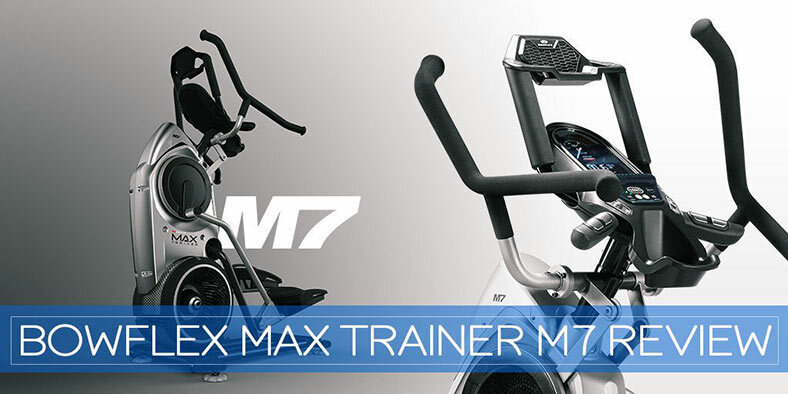 The Max Trainer M5 offers super efficient total body workout with zero impact on your joints. Glad you like it:) Cheers!